Proper chain tension is a critical spec that can effect the health of many parts on your bike. 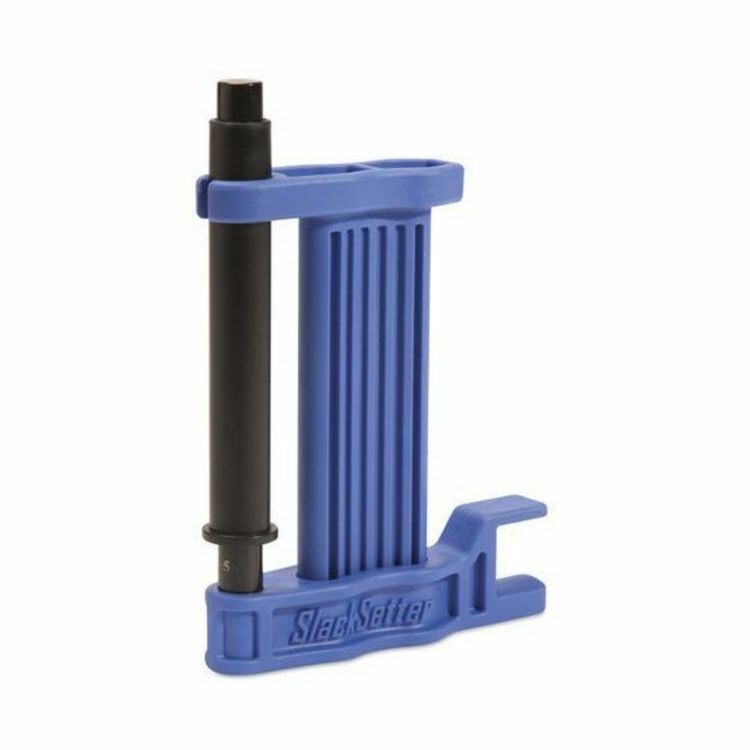 Keep your chain properly dialed in with the Motion Pro Slacksetter Pro. I could have used a caliper just as easy, this is going to take abuse better though. Simple to use. No real difference between using a ruler, but more convenient, especially since my S3 has an irregularly-shaped swingarm. Easier to use this than crane my neck over to line my eyes up with a ruler. Recommend. It's a fancy ruler but I like it and it does make setting chain slack easy and used with the alignment tool makes sure your wheel and chain are good to go. this Chain Slack Setting Tool works on bmw s1000r? Motion Pro Chain Slack Setting Tool works on bmw s1000r 2014 ?